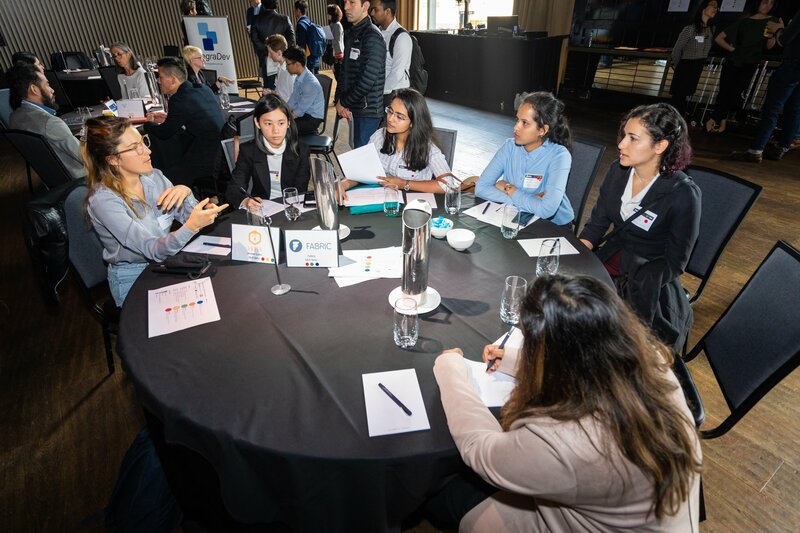 At the Fintech Fever Grad Match event, 40 students, 16 employers, 5 mentors and industry observers and guests from the fintech community participated in the experience. The event was part of the Intersekt Festival, hosted by peak fintech industry body Fintech Australia and attended by over 500 delegates at the picturesque Atlantic in Melbourne’s Docklands. Kicking off the pitch coaching session, Michael McCallum, Strategy & Commercialisation expert – and no stranger to pitching to all levels of industry, coached the students through the basics of a pitch. Following this some very polished pitches from the startups from the fintech sector showing the students how a combination of hustle, pitch, tech, marketing, business and financial acumen can kick start a career! Roles on offer included software developers, data scientists and digital marketers. Congratulations to the fantastic students, many of whom are in final year Masters qualifications for putting their best foot forward and networking for all it’s worth! A big thank you to our lead partner Fintech Australia and supporting partners Stone & Chalk and La Trobe University.